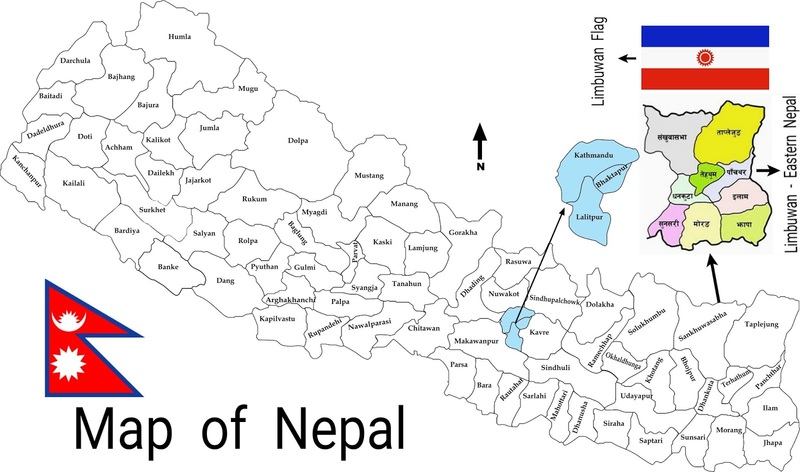 Greater Nepal : (Nepali : विशाल नेपाल or अखण्ड नेपाल) are irredentist terms literally meaning "Undivided Nepal". Nepali Land was taken by British or the treaty was between Nepal and British. British Government is having the main role for solve the "Greater Nepal" issue. If colonial system is removed from this world then Nepali Lands also suppose to be free. Greater Nepal Map, Extent of the Gorkha empire at its height. Gorkhas were ruling in Nepal. From 1767 onwards, they extended their power over the hills and valleys of Nepal. They were ruling on Feudal basis and soon became powerful. They marched into the Kumaun and Gangetic Plains and raided in the British Territories. The British had recently acquired the lands of Nawab of Oudh and Gorakhpur, Sikkim were on the front. The dispute was because of no fixed boundary. The war ended in a defeat of Gorkhas. The British army marched from Patna to Kathmandu and finally dictated the terms of Treaty of Sugauli, which defined the English relations with Nepal. Gorkhas lost Sikkim, the territories of Kumaon and Garhwal, and most of the lands of the Terai; the British East India Company promised to pay 200,000 rupees annually to compensate for the loss of income from the Terai region. In 1813, Nepal extended from the Sutlej to the Teesta, spanning 1500 kilometres. Rule over this expanse was brief, however, and in the aftermath of the 1814-1815 war with the British East India Company the Gorkhali realm was whittled down considerably. The real time Gorkhali presence in Garhwal was for over a decade; Kumaon for 25 years; and Lower Part of Sikkim for 33 years. The Treaty of Sugauli, between the Gorkhali king and the British East India Company, was ratified in 1816. It caused Nepal to lose about 105,000 km2 of territory and left Nepal as it is today, with 147,181 km2 of present total area. This map of 1795 drawn by British East India Company shows Nepal is in shape of present Nepal. 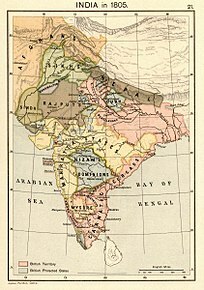 This map of 1805 shows Nepal has enlarged, invading south Asian princely states, expanding Nepal's western border near the Kangra across the Satluj river. The Sugauli Treaty ceded these areas back to India. Gorkhali King Prithvi Narayan Shah (1723–75) of the Shah dynasty decided to enlarge the kingdom that was confined to the small Gorkha region of Nepal and had an area of just 2,500 square kilometres (970 sq mi). He defeated major principalities in wars and unified them under his rule starting from the 1740s ending with shifting of his Gorkha Kingdom’s capital from Gorkha region to Kathmandu in 1769. He then attacked and absorbed dozens of other small principalities of Nepal area to his Gorkha kingdom. After his death in 1775, his eldest son Pratap Singh Shah continued defeating other smaller princes and absorbing their fiefdoms. Pratap Shah died at the age of twenty-five in 1777. Then Prithvi Narayan Shah’s second son, Bahadur Shah, ruled until 1794. The Gorkha army invaded Kumaon Kingdom and occupied it in 1790–91. Then the Gorkha army invaded Garhwal Kingdom and occupied it in 1804 after defeating its King Pradyuman Shah. In 1806, the Gorkha army absorbed all the small kingdoms like Sirmudh state, Hindur and Besahar lying across the Garhwal and up to Satluj River. In this way, the Gorkhas controlled the hilly regions such as Nainital, Almora and Dehradun without crossing the Satluj River. However, when the Gorkhas crossed the Satluj river, the Gorkha's attack on Kangra and siege of Kangra Fort west of Satluj river was repulsed by the Kangra king with help from Maharaja Ranjit Singh of Punjab in 1809. Later the Gorkha army absorbed Kangra and extended the kingdom to Ravi river, India. This could not last long as Nepal signed Sugauli treaty. Previously Darjeeling formed a part of dominions of the Raja of Sikkim, who had been engaged in an unsuccessful warfare against the Gorkhas. From 1780 the Gorkhas continually made inroads into Sikkim. Sikkim lost most of its land to Nepal and by the beginning of the 19th century, the Gorkhas had overrun Sikkim as far-eastward as the Teesta and had conquered and annexed the Terai. Battle of Jhunga at 1788 A.D.; Nepali forces (in black), Nepali Commander (in white) attacking over Tibetan forces (in red & yellow). During the Sino-Nepalese War, Nepal invaded Tibet and robbed Tashilhunpo Monastery in Shigatse. Alarmed, the Qianlong Emperor of the Chinese Qing Dynasty appointed Fuk'anggan commander-in-chief of the Tibetan campaign; Fuk'anggan signed treaty to protect his troops thus attaining a draw. Battle of Guntagadhi where Nepali forces (in black) defeated Tibetan forces. Later Nepalese–Tibetan War was fought from 1855 to 1856 in Tibet between the forces of the Tibetan government (Ganden Phodrang, then under administrative rule of the Qing dynasty) and the invading Nepalese army resulting victory of Nepal. Bhakti Thapa (in yellow) leading Nepali soldiers in black at the grand old age of 74 at Anglo-Nepalese (British Soldiers in red). The Anglo-Nepalese War (1814–16) was fought between the Kingdom of Gorkha (present-day Federal Democratic Republic of Nepal) and the East India Company as a result of border disputes and ambitious expansionism of both the belligerent parties. The war ended with the signing of the Treaty of Sugauli in 1816, which ceded around a third of Nepal's territory to the British. 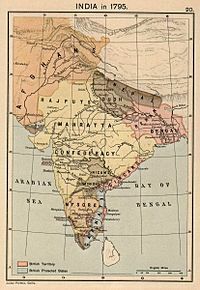 The British East India Company had come to rule much of north India by the time the Gurkhas attacked kingdoms in South Asia. The Company became the de facto ruler of South Asia east of Satluj river in place of the Moghuls, Marathas and other kings, especially after defeating the Marathas in 1803 in Second Anglo-Maratha War. After firmly establishing its rule over Delhi in 1803, the Company attacked the Gorkhas and repulsed them from Kumaon Kingdom and Garhwal Kingdom in the area west of Kali river and in Sikkim and north Bengal east of Teesta river by 1815. The Gorkhas were forced to accept a peace treaty with the British (the Sugauli Treaty) in 1816. 1679 - Establishment of Gorkha Kingdom. 1767-69 - The three Newar capitals of Kathmandu, Lalitpur and Bhaktapur fell to the Gorkhalis. 1769 - Renamed the kingdom to Nepal from Gorkha and moved the capital to Kathmandu. 1771-72 - war between Gorkhas and Limbus Chiefs and finally merger of Limbus Chiefs into Nepal by "Gorkha-Limbuwan Treaty". 1775 - Merger of Kiranti Chiefs into Nepal. 1780 - Gorkhas continually made inroads into Sikkim. Sikkim lost most of its land to Nepal. 1781 - Merger of 24 principalities in Nepal. 1787 - Merger of 22 principalities in Nepal. 1788 - Seized Kyirong and Kuti of Tibet and forced the Tibetans to pay an annual tribute. 1789 - Invaded east part of Sikkim. 1791 - Invaded and overran Almora, the seat of the Kumaon Kingdom and other parts of the kingdom. 1791 - Gorkhalis invaded Tibet again and plundered the Tashilhunpo Monastery in Shigatse. Chinese army came to Tibet's defence and broke Sino-Gorkha war. 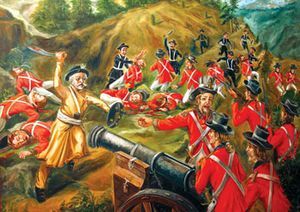 1804 - Gorkha attacked Garhwal and invaded. 1806 - Invaded Malaun Sirmaur. 1806 - Attacked on Kanra by Gorkhalis force but defeated by Sikh King Ranjeet Singh and forced to return back to Satlej River. There is no any official claim by Government of Nepal or any political party of Nepal to take back the ceded territory to British East India Company by Nepal which is now territory of Republic of India. It is claimed only by some of unrecognized party or organization. Greater Nepal Nationalist Front (GNNF) is one of them. 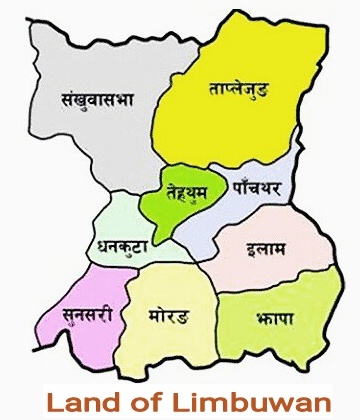 Picture : a map of Greater Nepal drawn by the Greater Nepal Nationalist Front.